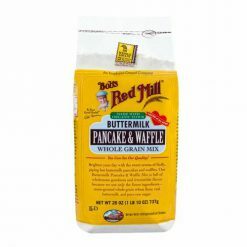 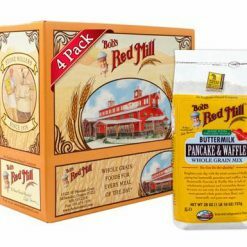 Bob’s Red Mill Buttermilk Pancake and Waffle Mix is made with the best ingredients: organic flour, leavening without aluminum, real buttermilk, and raw cane sugar. 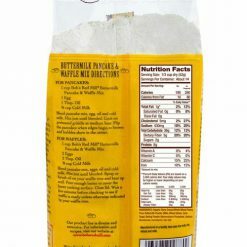 Follow the simple instructions on the back of the bag for fluffy pancakes or waffles. 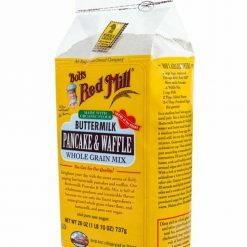 All you need from your kitchen is an egg or two, a tablespoon or two of oil, and 3/4 cup of milk. 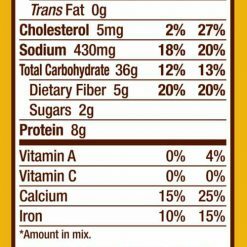 At 8g of protein per serving, you’ll keep hunger at bay.